Stage 2 of the Towpath Trail Extension runs along the border of the Steelyard Commons shopping center. The Trail was privately funded by developer First Interstate Properties, who also completed a trail that connects pedestrians to the center’s stores and restaurants where many work and shop. Brownfield redevelopment is not easy, especially when the goal is to bring national retail into the shadow of an active steel mill. Yet that is exactly what developer Mitchell Schneider accomplished when the $90 Million Steelyard Commons shopping center opened in 2007. In the spirit of redevelopment and connectivity, Schneider’s company First Interstate took it upon itself to build the Towpath through their property. First Interstate did so on its own dime. This act of corporate kindness is exactly the type of community buy-in that is necessary – and so often lacking – in the push to complete transformative projects. Canalway Partners is forever grateful, and First Interstate will always have the distinction of building the first mile of the Towpath in Cleveland. 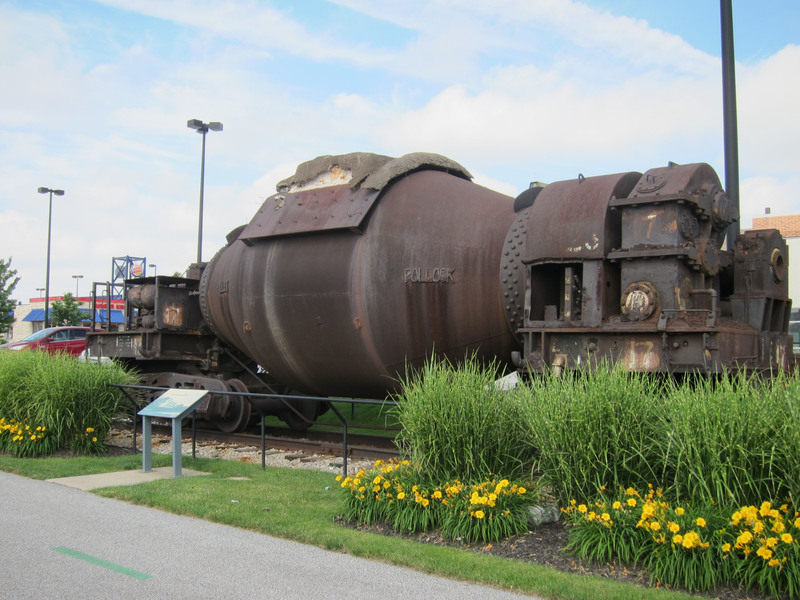 One of the signature features of Steelyard Commons is the active steel mill that looms in the in the east. 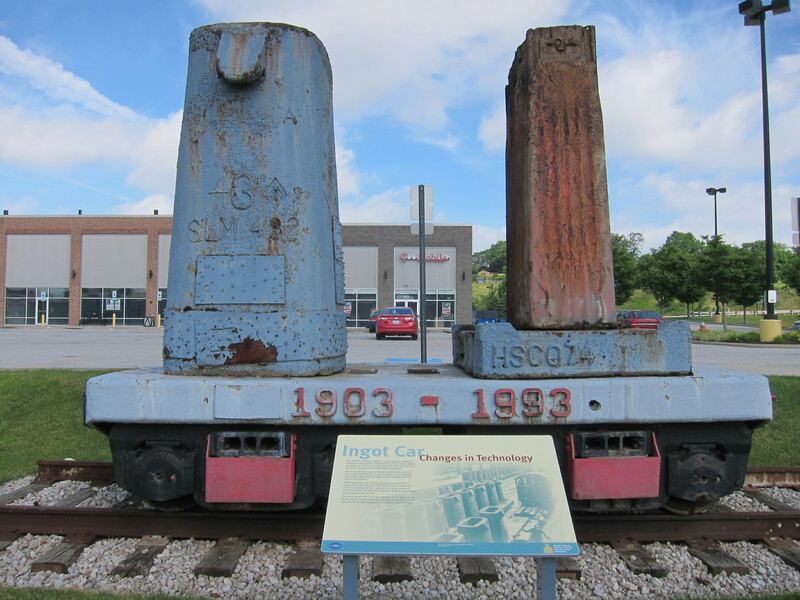 In a bygone era, a finishing mill was located on the exact site of Steelyard Commons. Mills like these largely defined the industrial heritage of Cleveland, and that was not lost in the planning of Steelyard Commons. 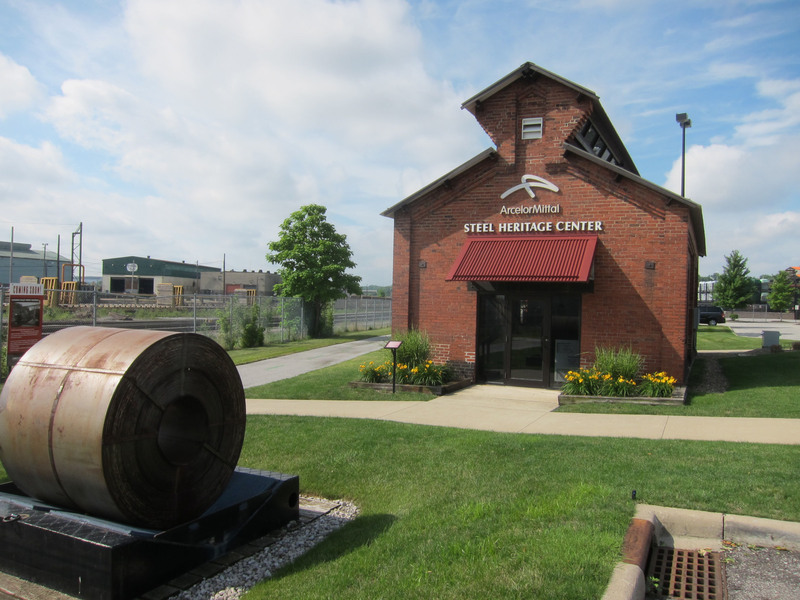 In 2012, First Interstate officially opened the Arcelor Mittal Steel Heritage Center, which celebrates the industrial history of the community. Beyond the physical infrastructure, Mitchell Schneider left another legacy gift for the Towpath: Tax Increment Financing. In order to attract development in Cleveland, certain projects are allowed to capture a portion of the non-school system portion of the added property tax value. By transforming barren land into vibrant retail space, Schneider added significant tax value to the property. First Interstate did not pocket these funds- it left 70 percent of this money in trust for further development of the Towpath Trail. Value is added to the trust each year, and it will eventually total upwards of $10 million. The Towpath Team plans to spend these funds at Canal Basin Park, providing downtown Cleveland with a world-class park that doubles as a grand gateway to the Towpath Trail. Visit Canalway Partners's profile on Pinterest. Copyright © 2019 Canalway Partners.